Zapier is an integration solution that lets business users create integrations from third-party applications to SalesforceIQ. 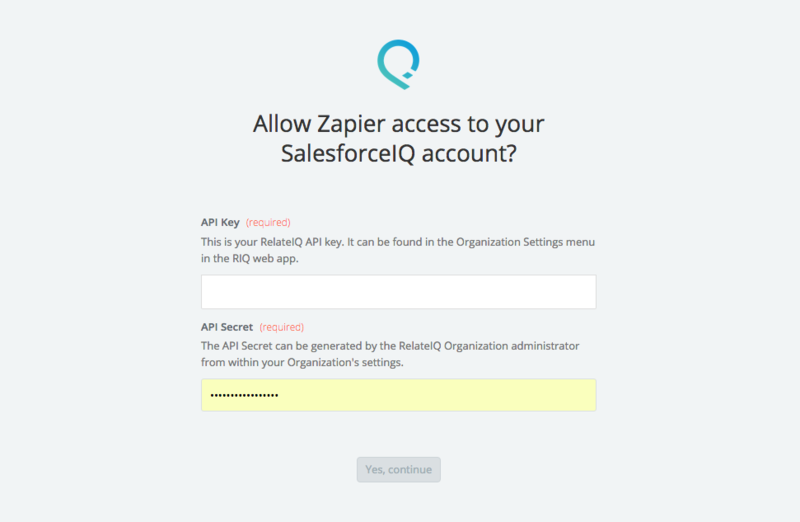 Note: Zapier access is available in some SalesforceIQ plans only. Contact us about upgrading your account to a supported plan. 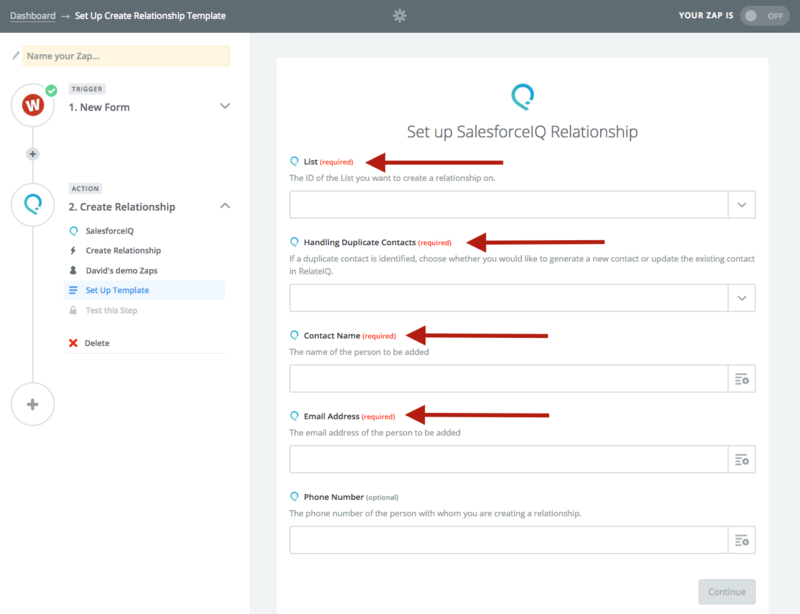 Send data out of SalesforceIQ to other applications when new Relationships on Lists are created. Create or Update data in SalesforceIQ using data from other applications. 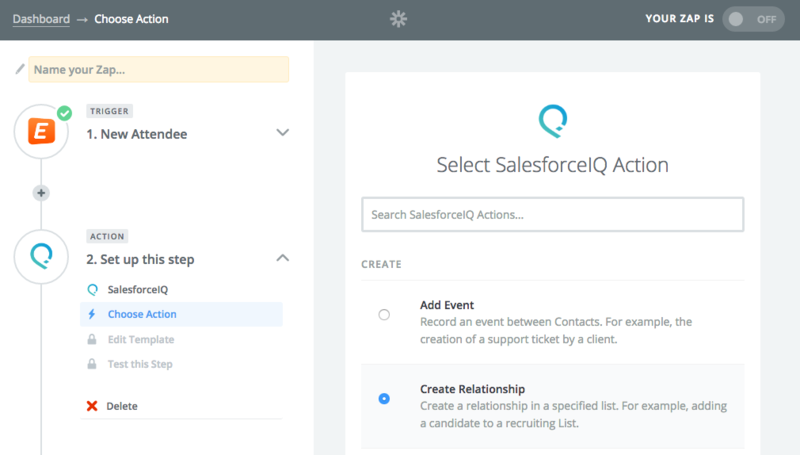 Search SalesforceIQ for existing List, Contact, and Account data using data from other applications. To date we have had great success integrating applications to create new leads, opportunities, and so on, as well as new events for existing ones. With Zapier, we have the ability to integrate over 300 applications to SalesforceIQ—and you can do it all with just a few clicks on a website! For other third-party applications, or for more general information, you can see the generic steps for setting up an integration in Zapier. To see if Zapier supports the third-party application that you would like to integrate with SalesforceIQ, visit their Zapbook site. 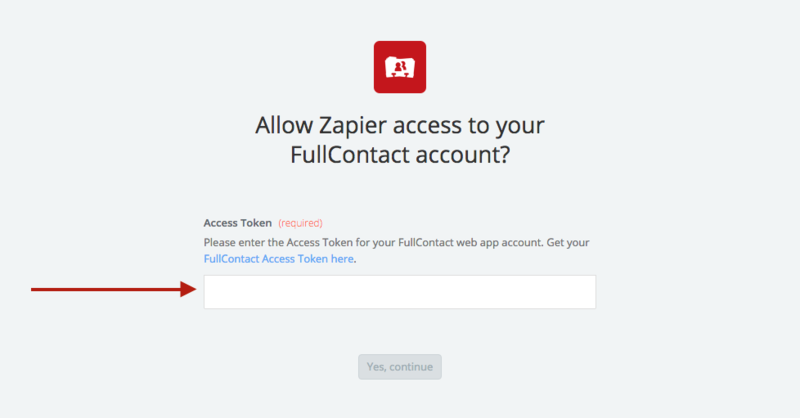 Note: If our Zapier functionality doesn't solve your business use case, you need to create a custom integration. See our API documentation for more information on custom integrations which would require the Business plan of SalesforceIQ. Learn more about Zapier and other types of integrations by watching this live training. 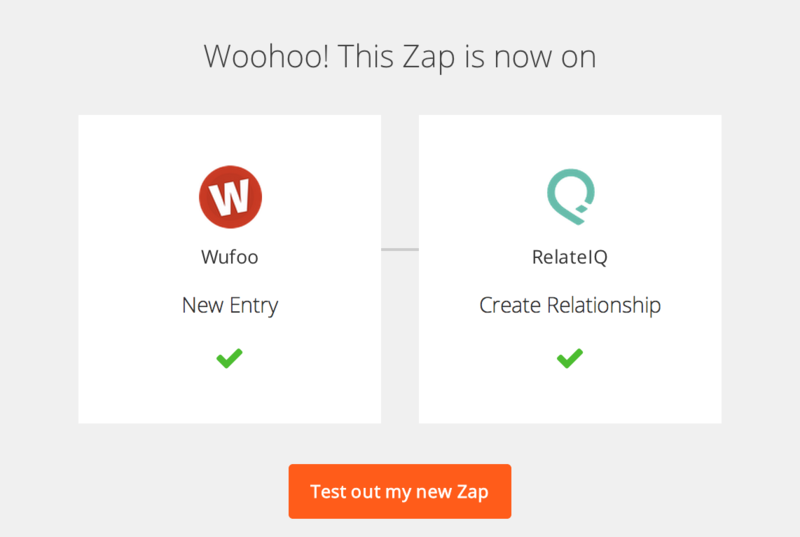 You first create the integration in SalesforceIQ, and then complete the process in Zapier. On the screen that appears, click Integrations, and then click Zapier under Create Direct Integration. An API key and an API secret appear. Be sure to record the API secret, because it won't be shown again. Click Save and Open Zapier. Note: Selecting Reset Secret breaks any existing integrations that use that key. Use with caution. Click Make a Zap or Make a New Zap. Select FullContact as your trigger app. For the trigger you want to create from FullContact, select New Business Card. Then click Save + Continue. To connect your FullContact account, click FullContact Access Token here to find your token. Enter your token and click Yes, Continue. Test your FullContact connection and click Continue. Note: If the test fails, double-check your account token and whether you have existing business data. 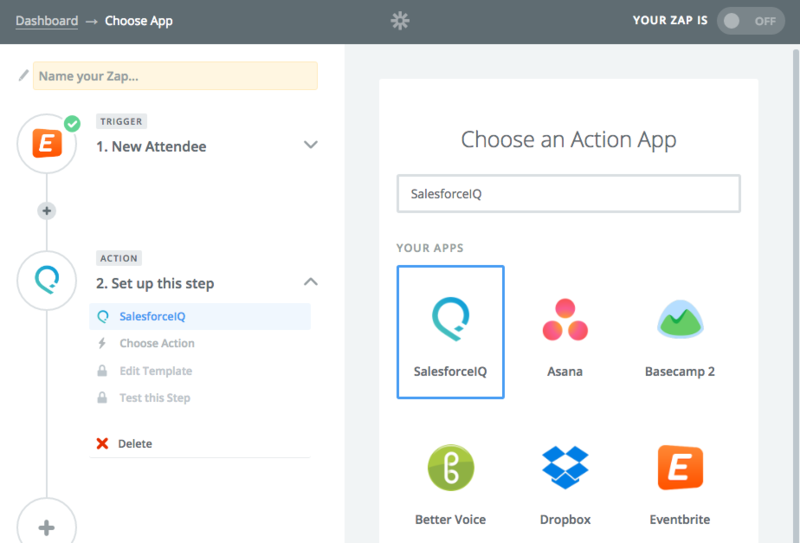 Select SalesforceIQ as your action app. 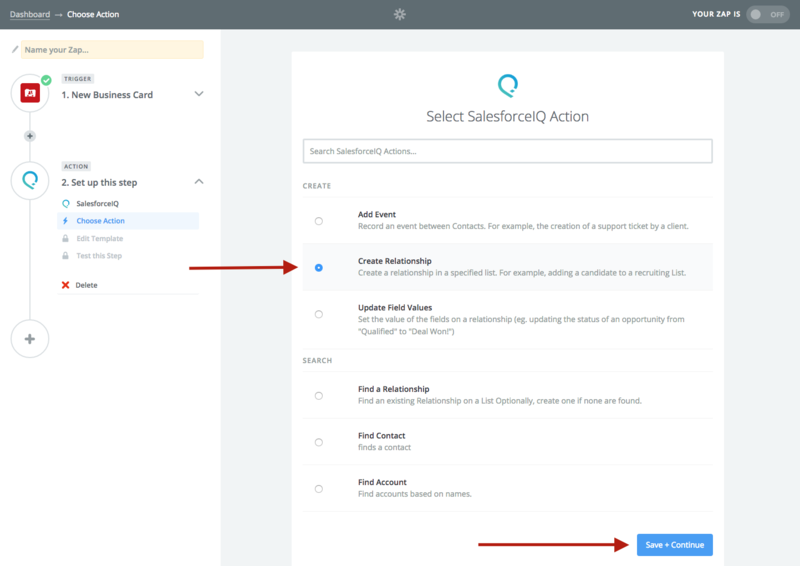 Select the action you want to take in SalesforceIQ when a new business card is added, and then click Save + Continue. 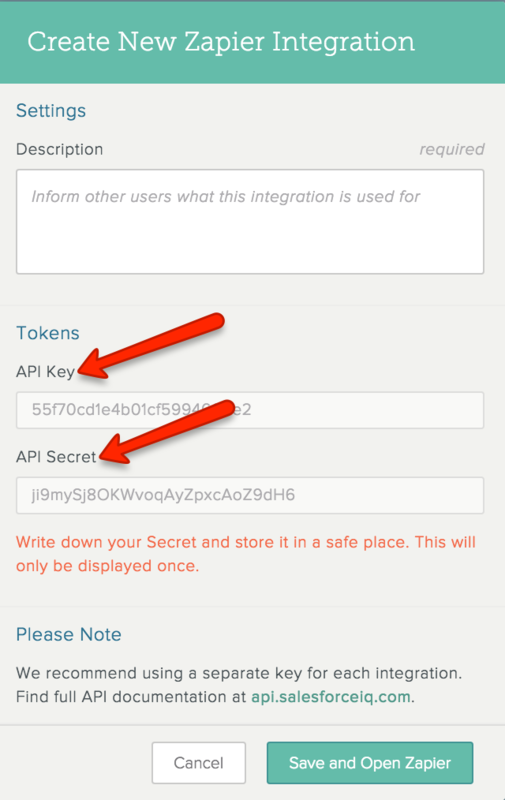 Connect your SalesforceIQ account with your API key and secret. 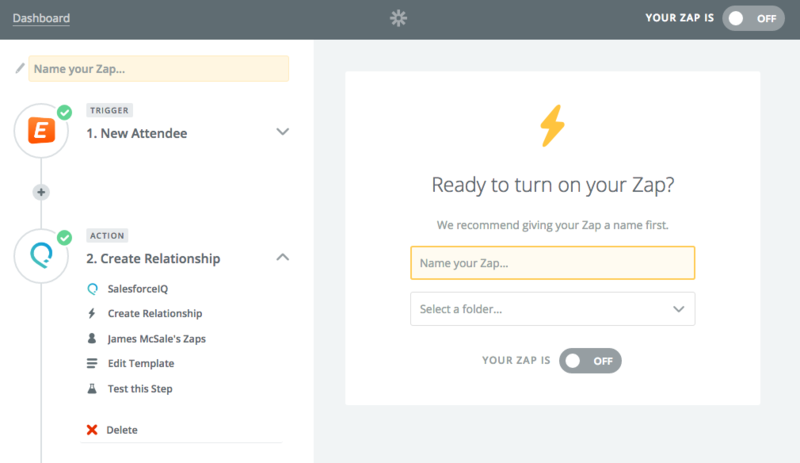 Note: If you forget your secret, see Get Started with Zapier for help. Map your business card fields to SalesforceIQ to create the action, and then click Continue. Test your zap and click Finish. Success! Turn your Zap on! 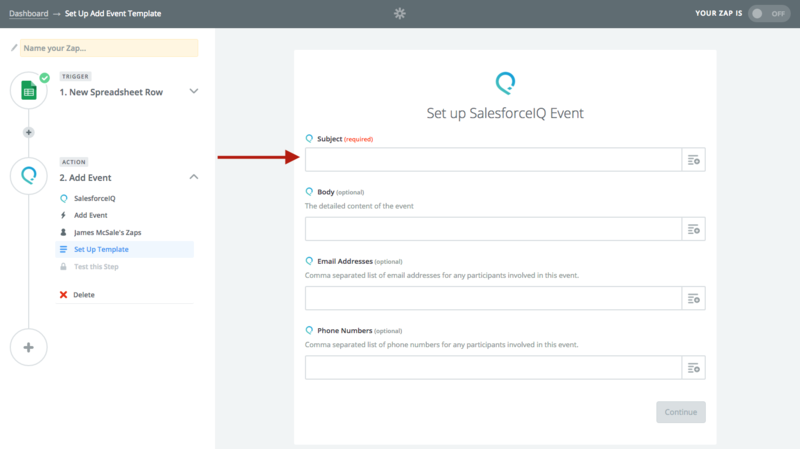 Zapier and SalesforceIQ bring you the ability to have event details from Eventbrite captured as part of your List objects (leads, opportunities, etc.). 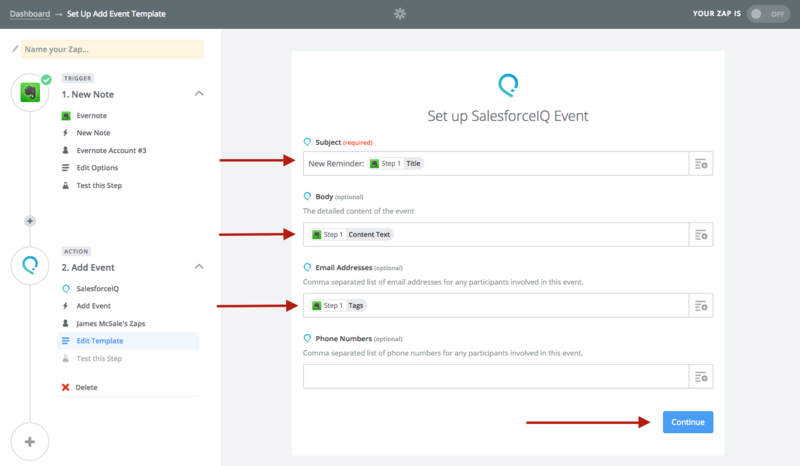 Read on to connect SalesforceIQ and Eventbrite through Zapier. 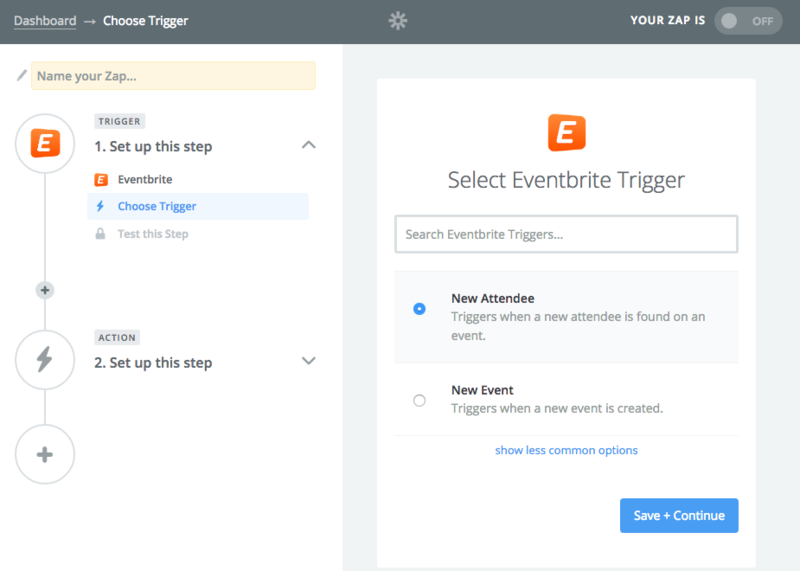 Select Eventbrite as your trigger app. 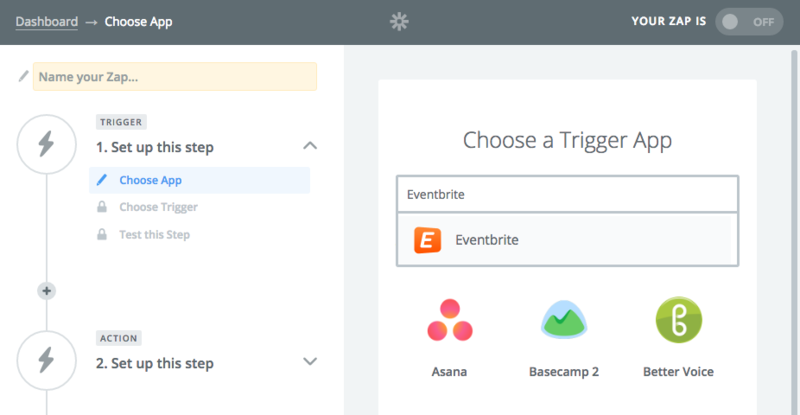 Select the trigger you want to take for Eventbrite. Then click Save + Continue. Connect your existing Eventbrite account. 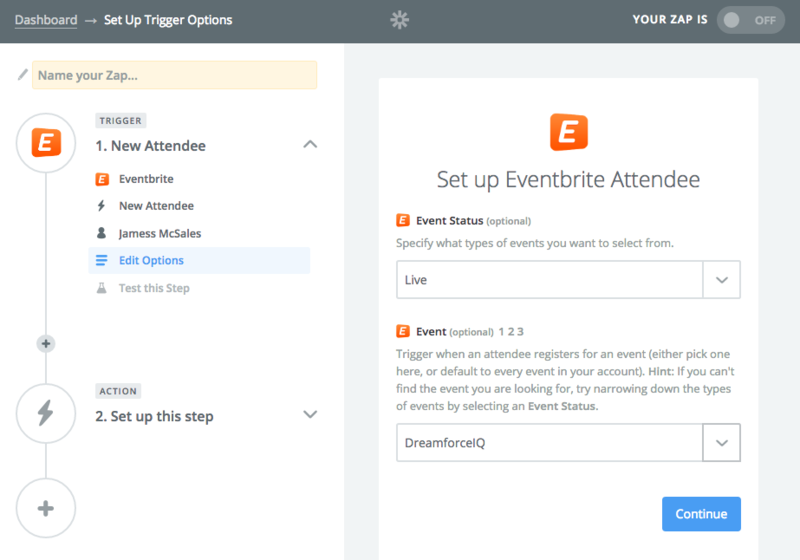 Set up your Eventbrite attendee and click Continue. Test your event and click Fetch & Continue. If the test succeeds, click Continue. If it fails, double-check your event details. Select SalesforceIQ as your action app and click Continue. 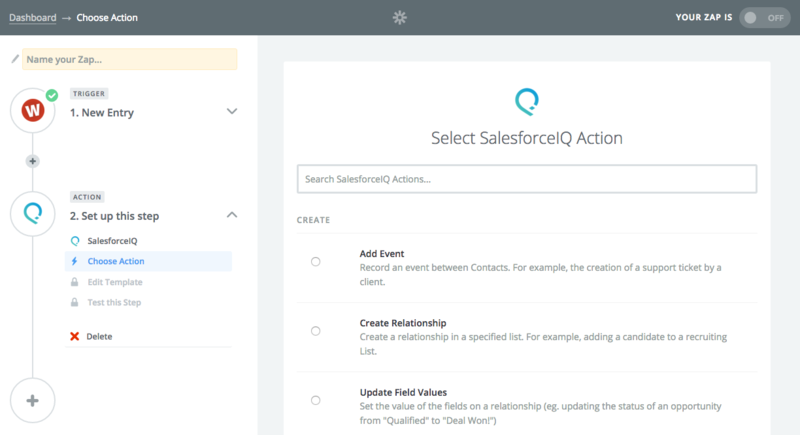 Select the action you want to take in SalesforceIQ , and then click Save + Continue. 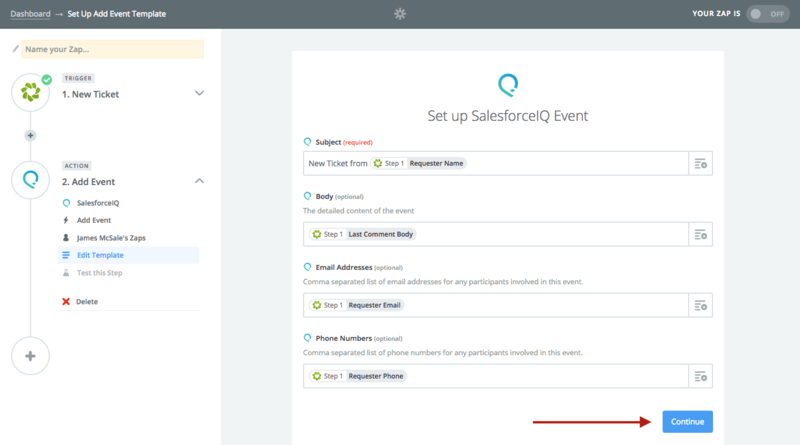 Set up the SalesforceIQ action using your Eventbrite fields, and then click Continue. Test the relationship and click Create & Continue. If the test succeeds, click Finish, If the test fails, double-check your mapped fields. Name and turn on your Zap! Zapier and SalesforceIQ bring you the ability to share and collaborate with your teams using Evernote. Read on to connect SalesforceIQ and Evernote through Zapier. Select Evernote as your trigger app. Select the trigger you want to create in Evernote. Then click Save + Continue. Enter your email address or username and password and click Sign in. Click Authorize, and then click Save + Continue. Select the Evernote notebook you want to integrate and click Continue. Test your notebook by clicking Fetch & Continue. If the test succeeds, click Continue. If the test fails, double-check your notebook for the appropriate data. 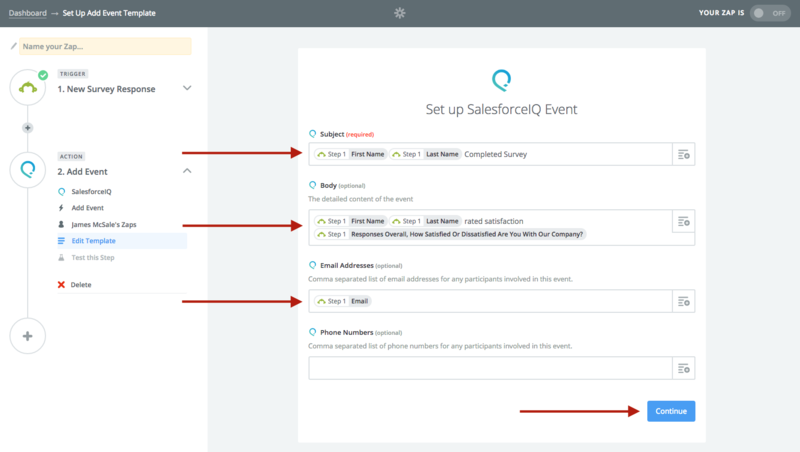 Map your Evernote fields to SalesforceIQ to create the action, and then click Continue. Test your integration and click Create & Continue. If the test succeeds, click Finish. If the test fails, double-check that you have an email or phone number tagged in your note. This allows SalesforceIQ to surface this with the appropriate account stream. If you create spreadsheets and forms in Google Docs and have ever wanted to take information from those spreadsheets and use it to create relationships inside of SalesforceIQ, you can now do that with the help of Zapier. API access is available in some SalesforceIQ plans only. Contact us about upgrading your account to a supported plan. Special setup considerations are involved in creating a Google Forms/Sheet integration. Learn more here. 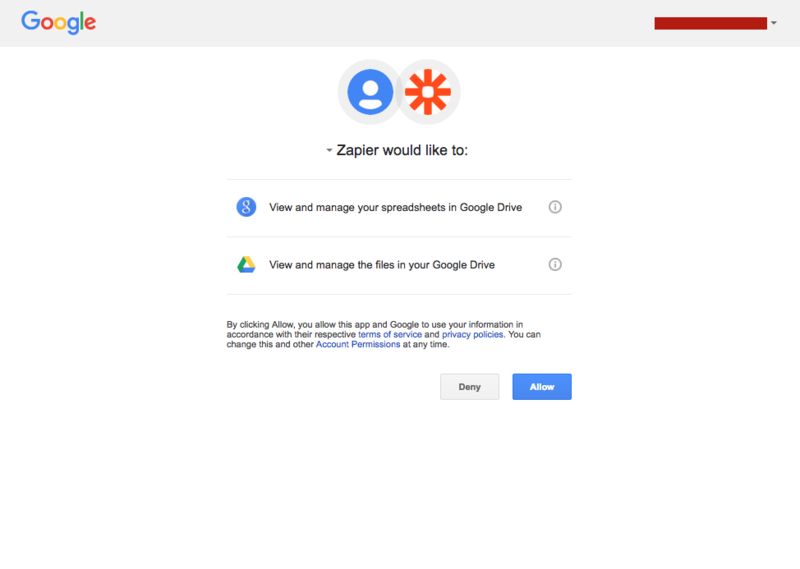 Zapier recently separated Google Sheets from Google Docs as a trigger app. If you set up a Google Sheets integration using the Google Docs trigger, your Zap will continue to work. Note: Selecting Reset Secret breaks any existing integrations that use that key—use with caution! 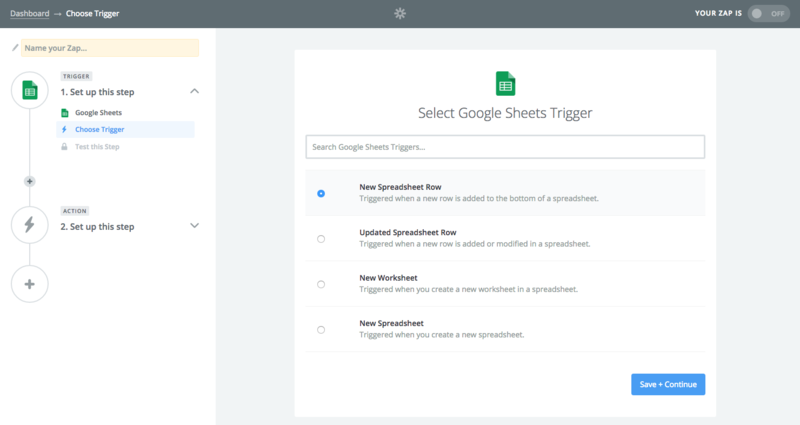 Select Google Sheets as your trigger app. Select the trigger you want to take for Google Sheets. Then click Save + Continue. Connect your Google Sheets account. Select the spreadsheet you want to integrate from Google Sheets, and then click Continue. Test your selected sheet and click Fetch & Continue. Note: To successfully integrate, you need to have column headers in your Google Sheet. Map fields between your Google Sheet and SalesforceIQ, and then click Continue. Test the zap by clicking Create & Continue. 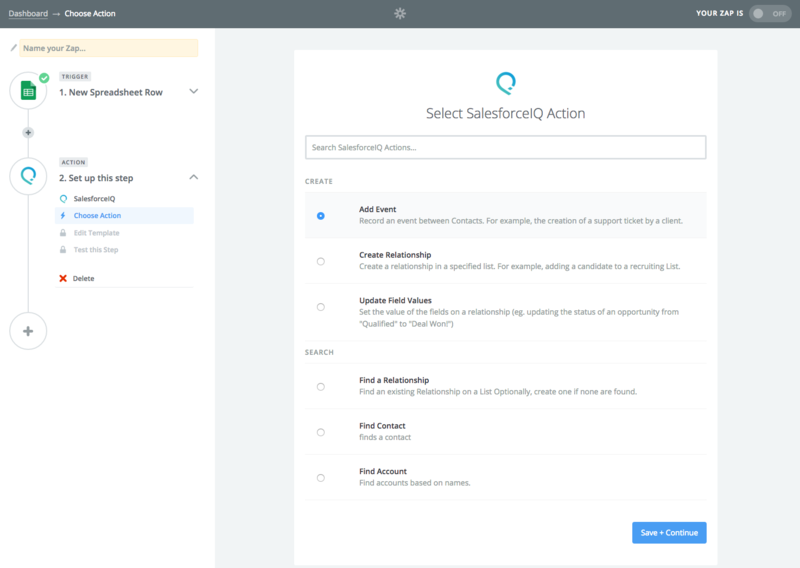 SalesforceIQ and Zapier seamlessly connect your sales and finance teams to provide the latest updates on your customers from your billing system. 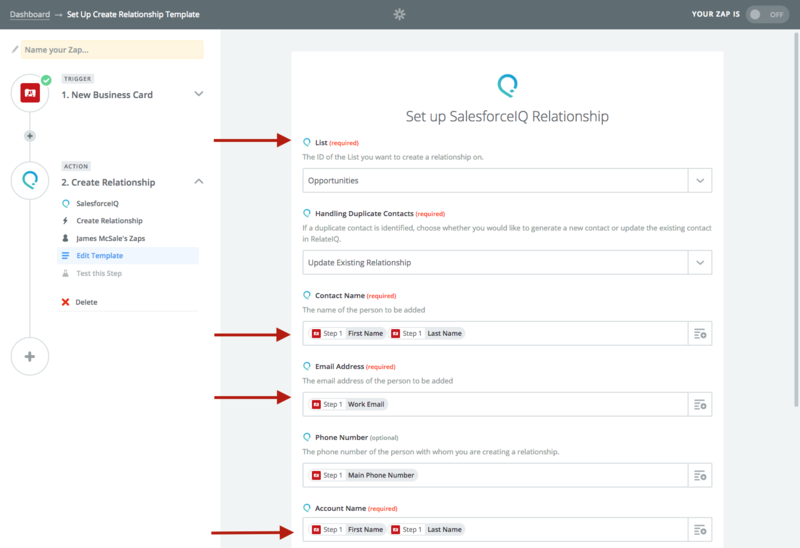 Read on to connect SalesforceIQ and Recurly through Zapier. Select Recurly as your trigger app. Select the trigger you want to create from Recurly, and then click Save + Continue. Connect your Recurly account and click Yes, Continue. 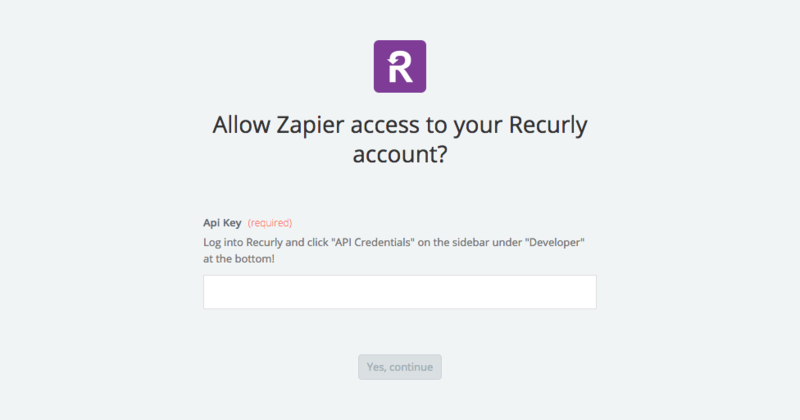 To find your API key in Recurly, navigate to Developers > API Credentials. Test your Recurly connection and click Continue. 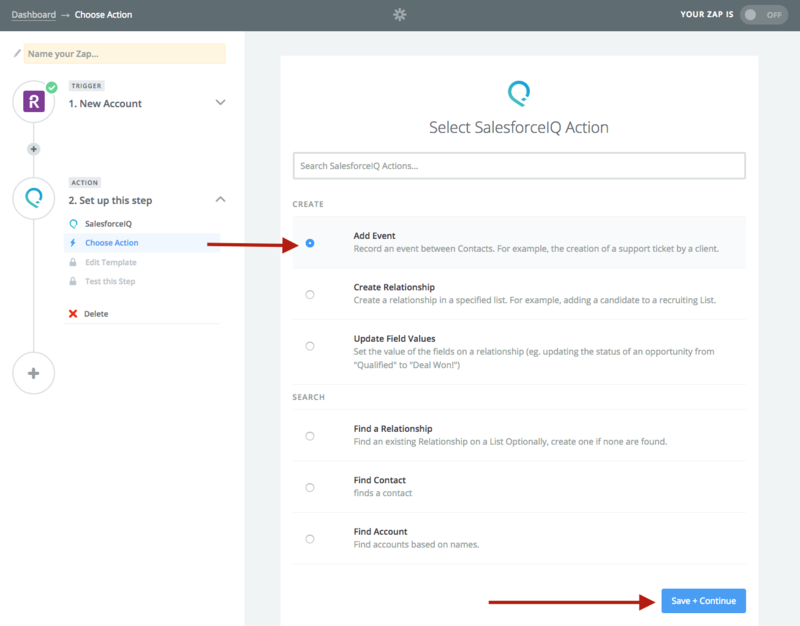 Select the action you want to take in SalesforceIQ, and then click Save + Continue. Map you Recurly fields to SalesforceIQ to create the action, and then click Continue. Test your zap and click Create & Continue. Note: If you run into issues, double-check that you have an email address or phone number associated with your record in Recurly. Success! Turn your Zap on. Zapier and SalesforceIQ bring you the ability to share and collaborate with your teams using SurveyMonkey. 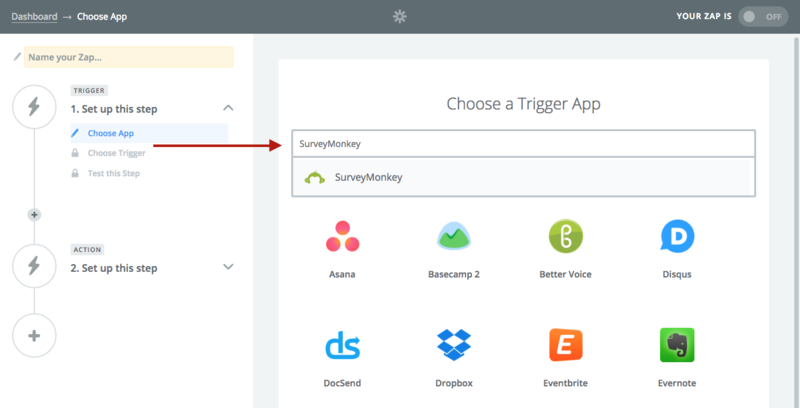 Select SurveyMonkey as your trigger app. (Optional) To filter based on other SurveyMonkey fields, click Add a custom filter and select the fields. 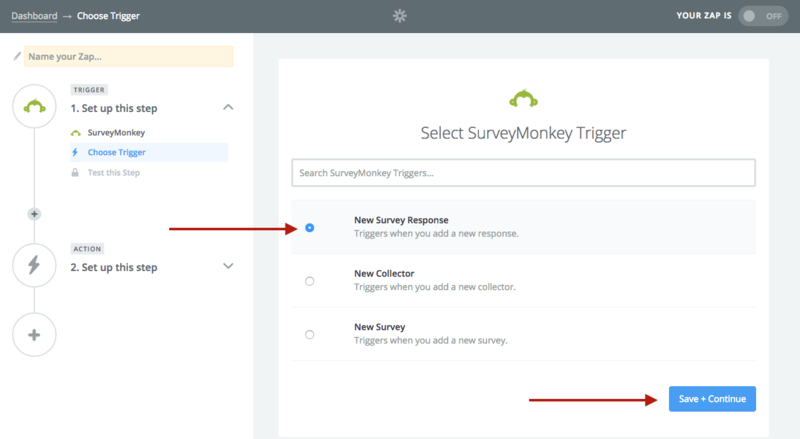 Select the trigger you want to take for SurveyMonkey. Then click Save + Continue. 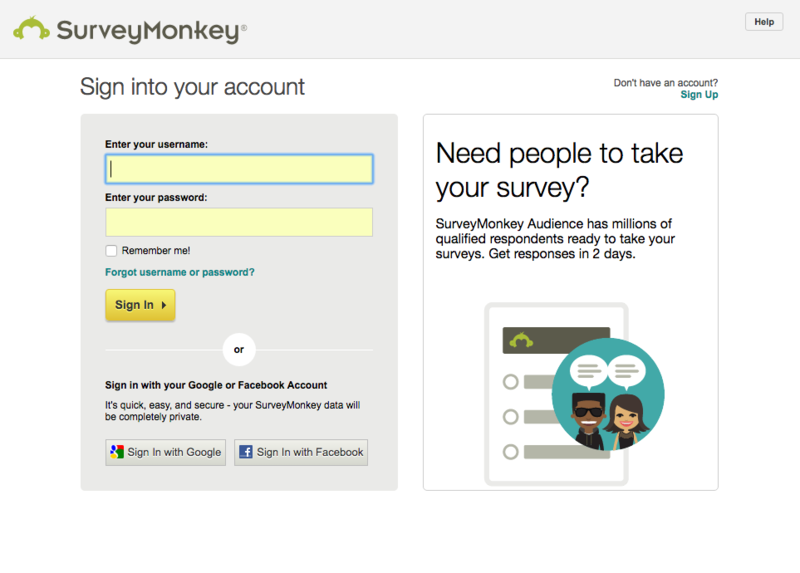 Sign in to your SurveyMonkey account. Select the survey you want to integrate and click Continue. To surface a sample survey response, click Fetch & Continue. Map your SurveyMonkey responses to SalesforceIQ to set up your action, and then click Continue. Test your zap. 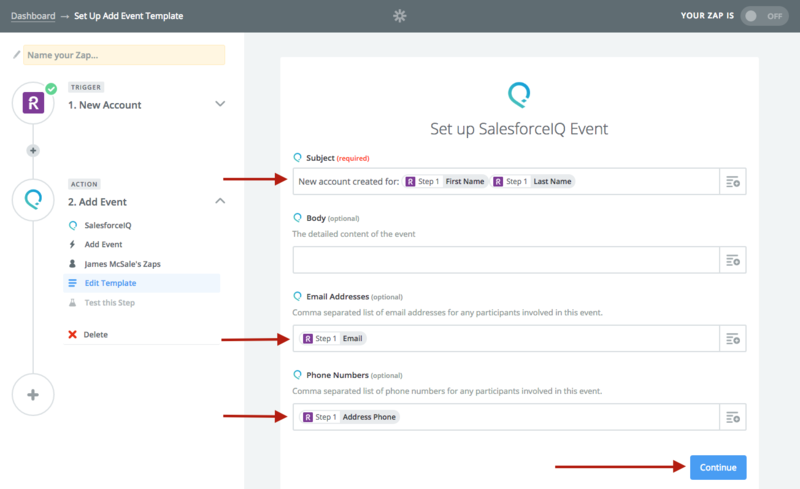 If you run into any issues, double-check that you have an email address or phone number to associate this zap with your SalesforceIQ contacts. 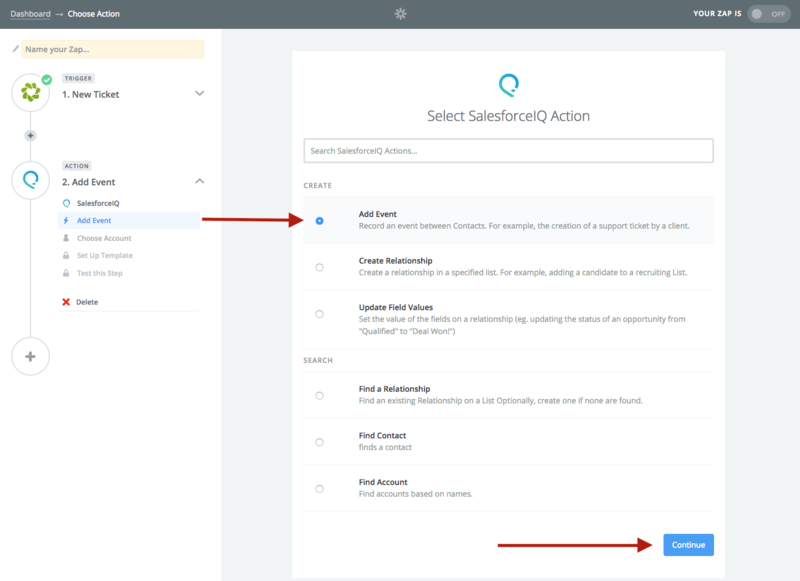 Zapier and SalesforceIQ bring you the ability to create Accounts or Contacts as a List object (lead, opportunity, etc.) whenever a user completes a form on a website. 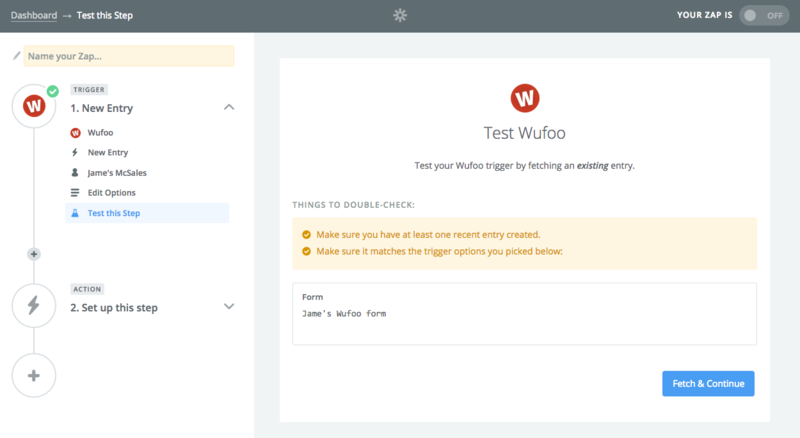 This form can be a Wufoo, Wordpress, or any other web form supported by Zapier. 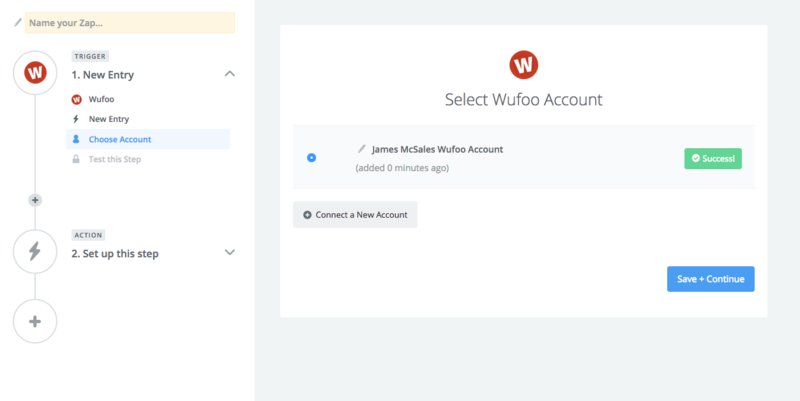 This article shows the process for creating an integration between Wufoo and SalesforceIQ. The process for other web forms is similar. However, the process for creating an integration between Google Forms or Sheets and SalesforceIQ requires special setup considerations—learn about Google Forms/Sheets integration here. On the screen that appears, click Integrations, and then click Zapier under Create Integration. Note: This procedure uses Wufoo as an example. 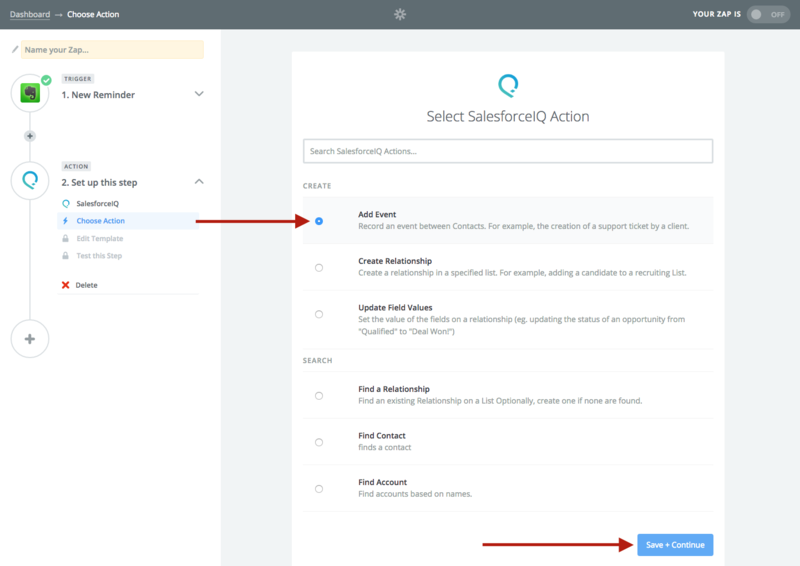 Search for and select the application you are integrating with SalesforceIQ—Wufoo in this example. 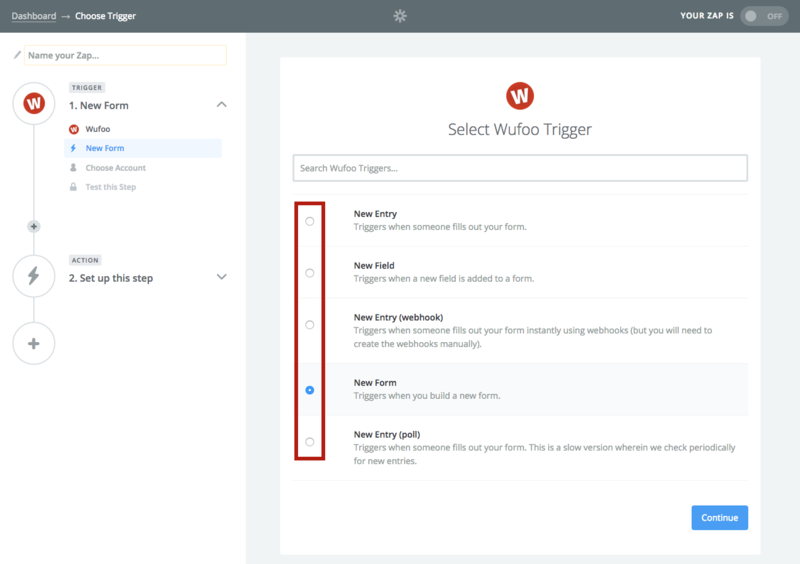 Select the trigger you want to create from the drop-down list ,and select the form you want Zapier to monitor for new entries. Then click Save + Continue. 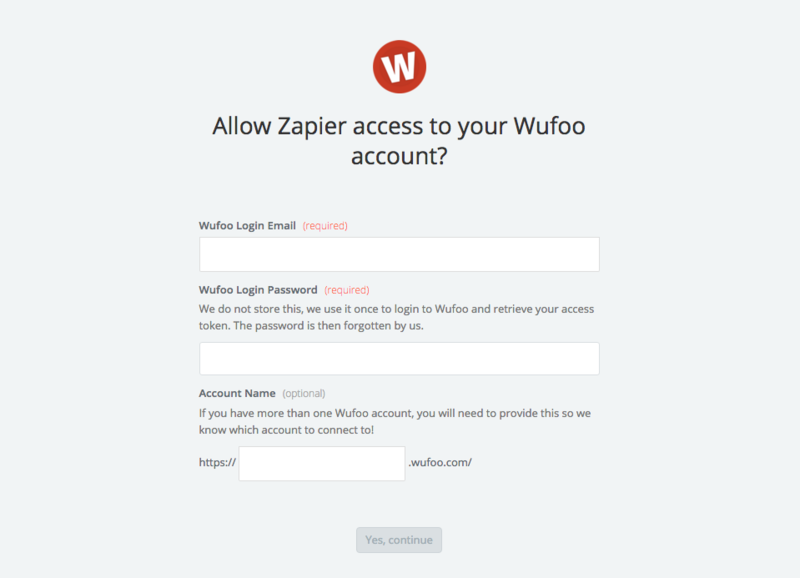 Allow Zapier access to your Wufoo account. 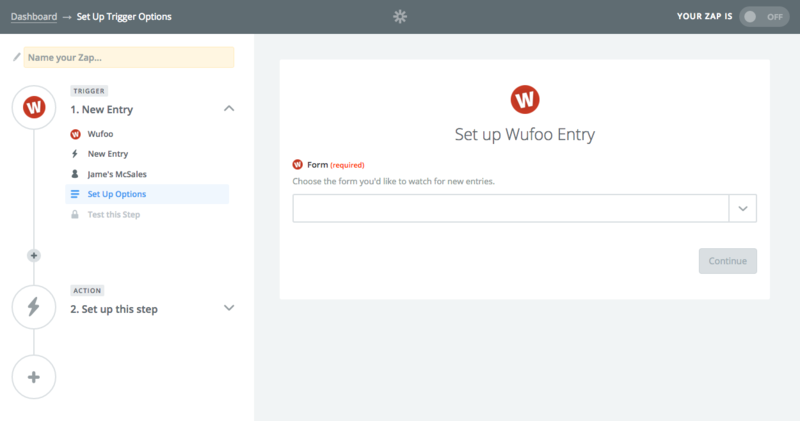 To set up your Wufoo entry, select a form you want to integrate from the drop-down list. Test your selected form for entries and click Fetch & Continue. 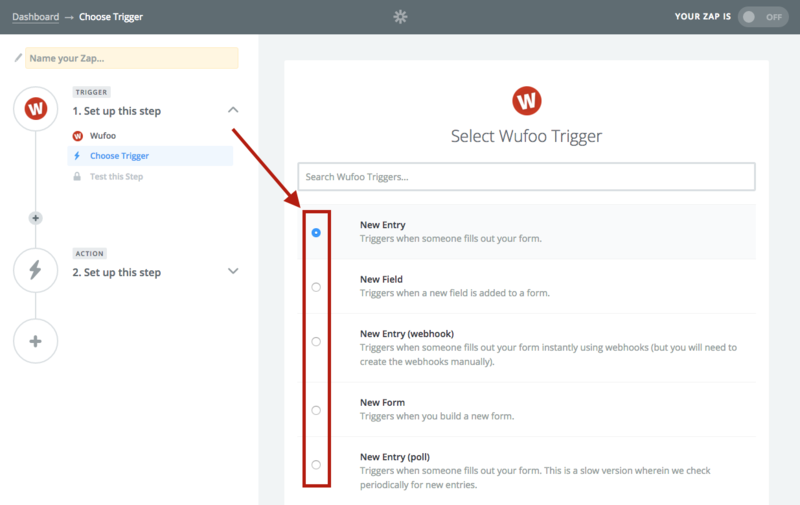 Map you Wufoo fields to SalesforceIQ to create the action. These can be included as part of a leads List or Contacts List based on your Wufoo form. Then click Continue. Click Test out my new Zap. 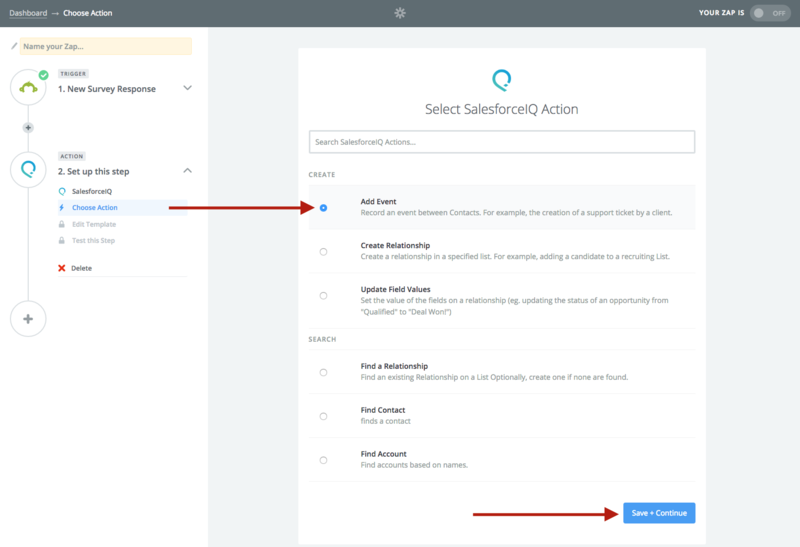 Zapier and SalesforceIQ bring you the ability to create events in the Stream for a List object (lead, opportunity, etc.) whenever a Contact submits a Help Desk Ticket. 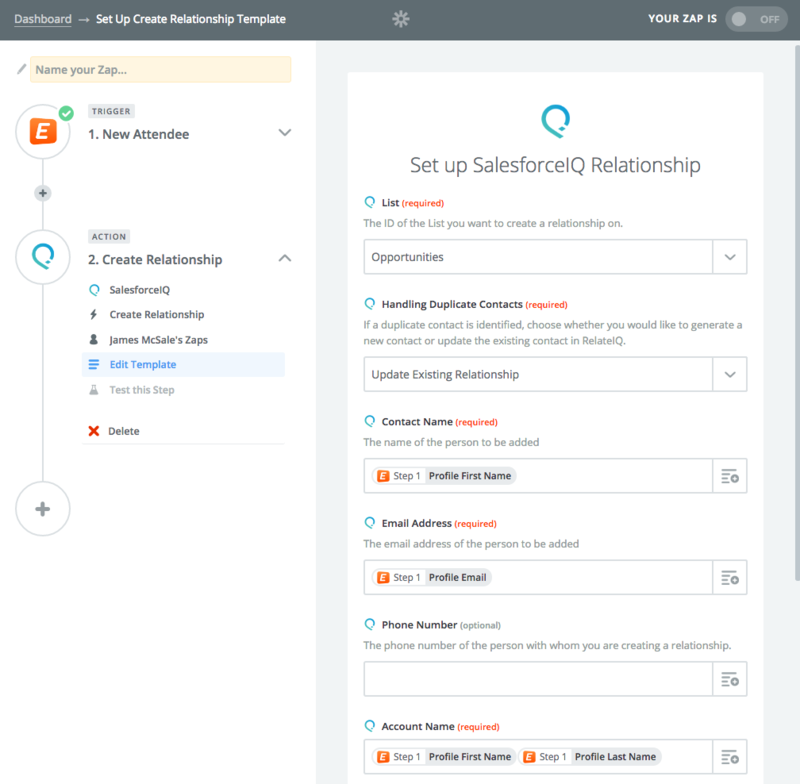 Read on to connect SalesforceIQ and Zendesk through Zapier. 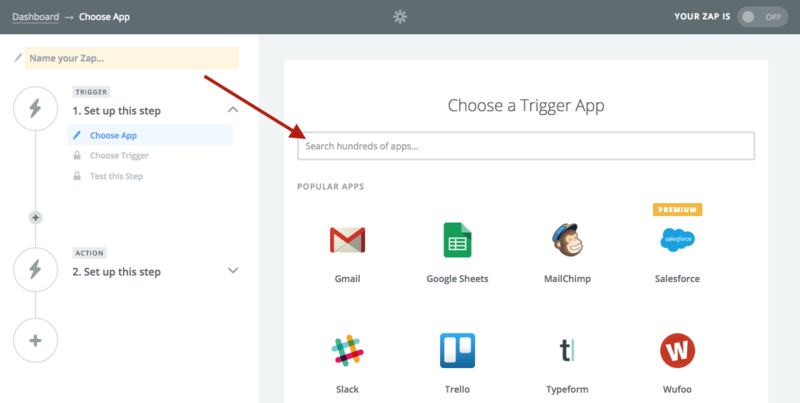 Select Zendesk as your trigger app. Select the trigger you want to create in Zendesk. Then click Save + Continue. 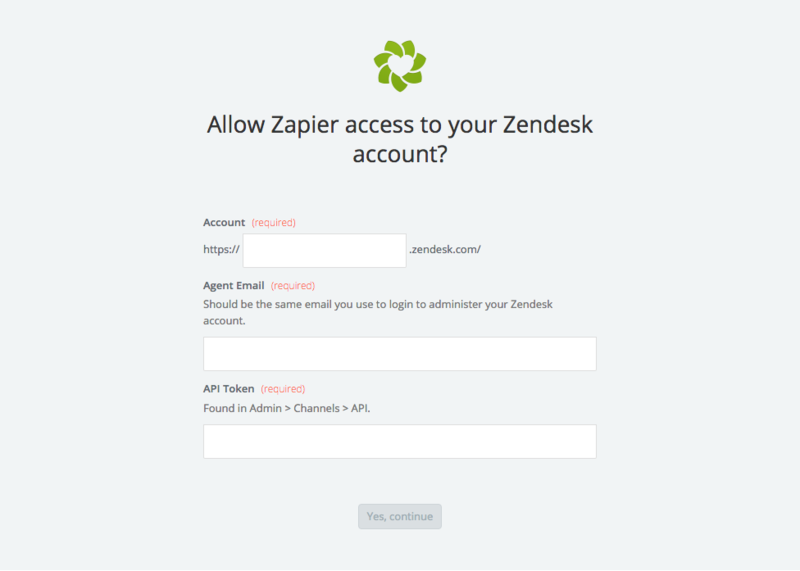 Connect your Zendesk account and click Yes, Continue. Note: Your Zendesk API token is a string of 40 characters. It is shown only once. Select the view from your Zendesk account that you want to integrate, and then click Continue. Test your integration and click Fetch & Continue. If the test succeeds, click Continue. If the test fails, double-check your Zendesk view for the appropriate data. 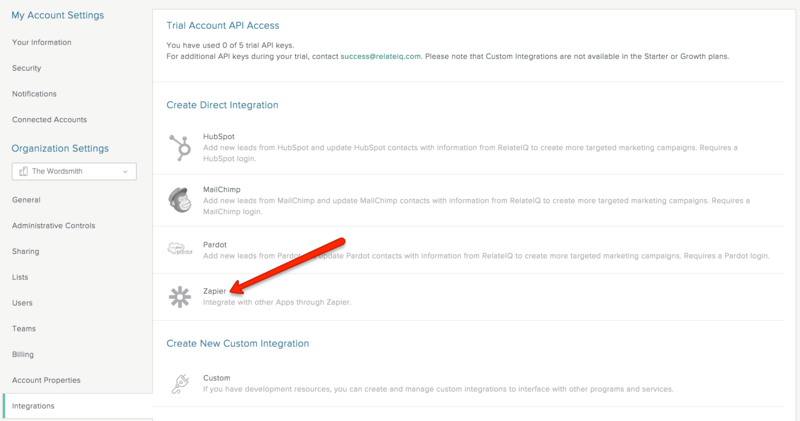 Map your Zendesk fields to SalesforceIQ to set up your zap, and then click Continue. If the test succeeds, click Finish. If the test fails, double-check the way you mapped the fields in step 11.